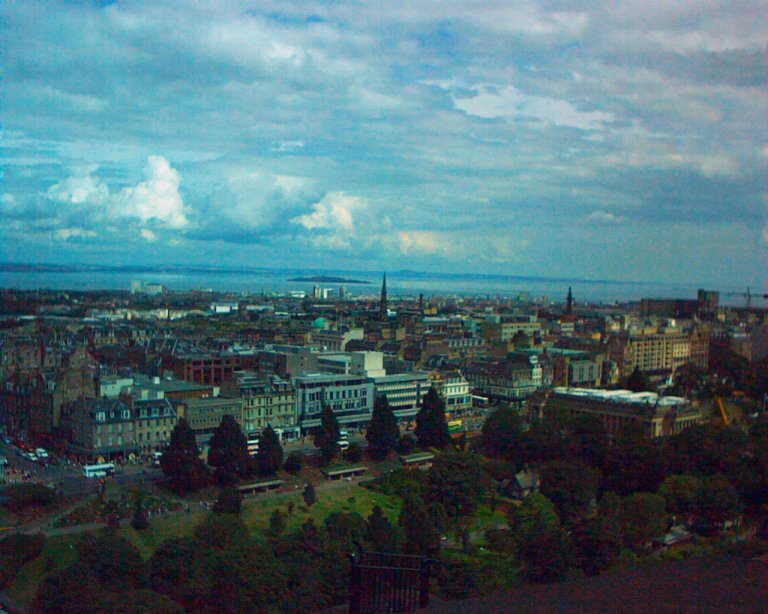 Edinburgh is one of the finest cities I have seen during my travels in Great Britain. It is identified as the capital of Scotland by many, and although I haven't seen Glasgow, I must agree that it should be the capital. The city is very touristical wtih a lot to see. It has a very warm and pleasant atmosphere and the people are very friendly. The old city of Edinburgh is quite small and after walking along the Royal Mile and visiting several museums including the Whiskey Heritage Center (definately a must see), the nearby natural beauties caught my eye. I ended up climbing Arthur's seat, a hill very close to the city, with a whiskey bottle in my 10kg backpack. But it was worth the pain, because of the view I got and also the beauty of the landscape. I also visited the nearby craigmillar castle after a strenous walk by the "innocent railway" (the first railway in Scotland, wagons were pulled by horses). I must admit that I enjoyed the city very much and would like to return to it one day. The caste is one of the primal sights in the city and is not to be missed. 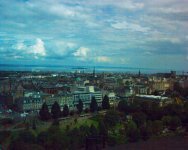 A brilliant view of the city is attained from the historic Edinburgh Caste. There is a hill right in the centre of the city, where there are seeral national monuments and memorials. This is also an interesting place to go. 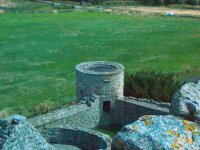 Craigmillar Castle is recommended for those who get tired of the tourist raid in the city. It is a 2.5 mile walk from Holyrood palace (the royal palce of Scotland) and is well worth the effort. The very old castle is in almost perfect condition, owing to its stable position on rocks. As you go through the castle, you will feel that you are living in the medieval times. The atmosphere simulated is perfect. 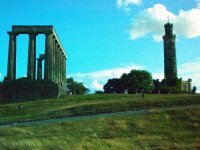 - One suggestion that I must make is that you should obtain English Heritage membership if you plan to visit more than a few historic places in Great Britain. The cost of membership is more than accounted for, especially if you are a student like myself.